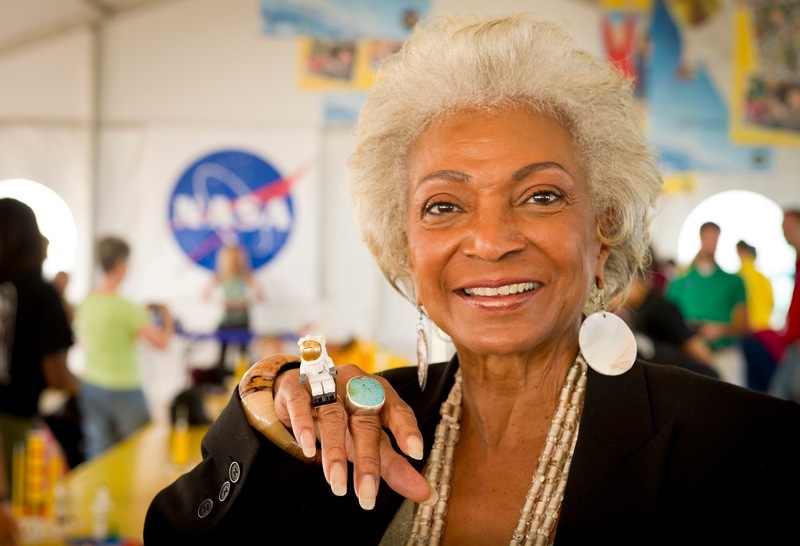 Nichelle Nichols, 82, who played Lt. Uhura in the original Star Trek TV series and films, suffered a mild stroke at her L.A. home Wednesday night according to a post on the actress' Facebook page. "She is currently undergoing testing to determine how severe the stroke was. Please keep her in your thoughts," the statement from Zach McGinnis of Galactic Productions read. McGinnis later gave an update on Nichols' condition stating that the actress is "awake, eating, in good spirits and able to have full conversations. Her right side has shown minor signs of mobility loss, but she is not showing any signs of paralysis." Nichols portrayal of Nyota Uhura was a pioneering move for black women in prime-time when Star Trek first aired in 1966. To that point, most TV roles for black actresses had been still limited to playing maids or other domestic workers. Martin Luther King Jr. called it "the first non-stereotypical role portrayed by a black woman in television history." Nichols shared the story of her meeting with King Jr. with NPR, saying that she'd expressed her regret that she was not out marching alongside the civil rights leader. "He said, no, no, no...You are marching. You are reflecting what we are fighting for." When the actress went on to tell him she had plans to quit the show, King Jr. urged her to stay on. "[King said] you cannot do that. And I was stunned. [He said] for the first time, we are being seen the world over as we should be seen. He says, do you understand that this is the only show that my wife Coretta and I will allow our little children to stay up and watch. I was speechless."